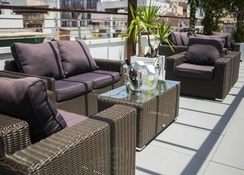 Voramar Hotel enjoys a privileged location in Benidorm, where you can enjoy the spectacular sea view. 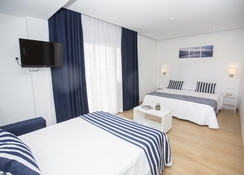 The rooms in the hotel are white, bright and airy and come with all the necessary amenities. The onsite restaurant serves exquisite local and international cuisines. The restaurant can serve 250 guests in a single sitting. There’s also a terrace solarium, ballroom, games room, Wi-Fi and animation facilities within the hotel. The large swimming pool is inviting and dotted around it are several sun loungers. Children can also have fun in the games room and the children’s pool. 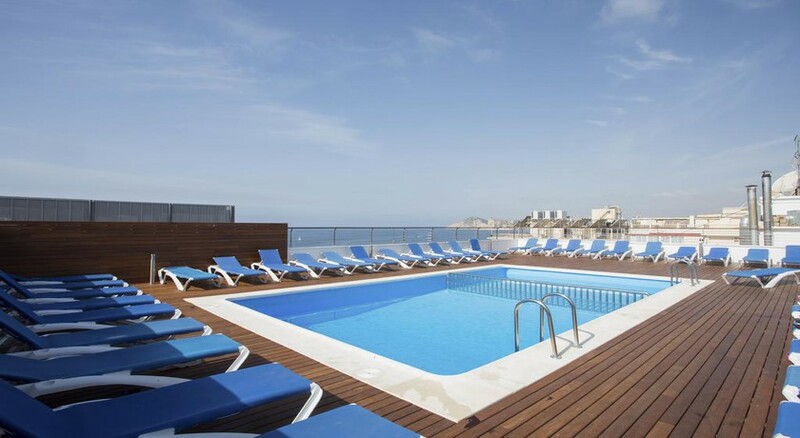 Voramar Hotel is situated in Alicante, Spain. Several beaches, golf courses, monuments and museums are close to the hotel. The Sports Center in Benidorm is only 700m from the hotel. 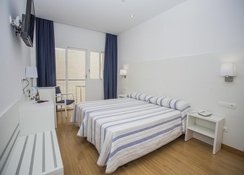 The Poniente beach is less than 300m from the hotel’s doorstep. The Alicante Airport is the closest airport; it is about 58km from the property. The hotel offers 136 rooms spread across five floors. All the rooms have contemporary furnishings that surpass the guest’s expectations. The room categories include Standard Room, Superior Room and Junior Suite. All the rooms come with the necessary amenities including air conditioning, bathroom with shower, free Wi-Fi, fridge, safe deposit box, toiletries and satellite TV. There is a buffet restaurant, which serves breakfast, lunch and dinner. In the buffet breakfast, you will find wide-ranging drinks and lip-smacking dishes that include cheese, eggs, meat, sausages, cereals, toast, juice, derivatives, beans, coffee and much more. You can enjoy typical local delicacies for lunch and dinner. There is enough option for both vegetarians and non-vegetarians; should you require any special diet or allergy to certain food, do inform the hotel in advance so that they can make alternative arrangement. There’s also a bar that serves an array of cocktails, fruit juice, mocktails and other alcoholic and non-alcoholic beverages — drinks are served around the pool area. The hotel offers in-room service. The sports, entertainment and leisure facilities in the hotel are optimal. There is a lovely roof-top swimming pool that is open from 10am to 8pm and you will also find a terrace solarium open for guests from 10am to 8pm. Other than this, there is a ball room, games room and amination available for adults. Children too can have a lot of fun in the children’s pool and the games room. Take advantage of the car rental service from the hotel to explore the region at your own pace. Very Spanish hotel, but friendly. The beds were clean the food was tasty and the hotel was clean and well managed. The staff were helpful and we have already booked to back next month. Really glad we found it as its in the perfect location for us. Fantastic hotel will certainly stay again. Love this place and the staff , rooms are great and kept well. I would recommend this hotel to anyone.